KUSA - When it snows so much that ski areas have to close, you know there’s been a lot of snow. And it’s so much snow that some experts say, by the end of January, we could see more snow than we’ve seen in more than 100 years. Loveland Ski Area has gotten more than three feet of snow in the last three days, and Colorado’s snowpack is at 150 percent for this time of year. More snow is forecast in the High Country by Thursday morning. 9NEWS Meteorologist Marty Coniglio says we anticipate 14 to 20 inches of snow in areas above 9, 000 feet in the Front Range – and one to two feet near Rabbit Ears Pass! 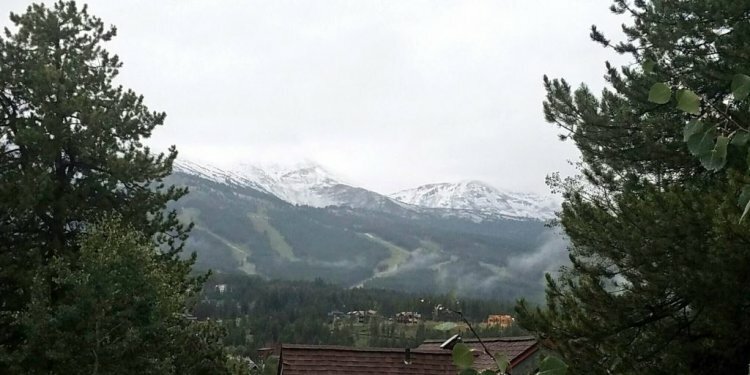 It has snowed for 28 days straight in Summit County – and this comes after what weather watchers call the 14th snowiest December. The record for snow in January in Breckenridge is 88 inches. Thirty-eight inches have fallen so far. With the snow comes heightened avalanche danger. US 6 over Loveland Pass will be closed for much of Wednesday morning for avalanche reduction, CDOT said. It's part of mitigation work crews will be doing on roads throughout the state. This comes a day after an avalanche shut down Interstate 70 at Vail Pass for hours – and 10 feet of snow blanketed I-70 near the Eisenhower Tunnel.